Today’s videos don’t need to rely on subliminal messages. They just have to prioritize what messages they want their audience to see, hear, and understand. Kmart’s “Big Gas Savings” commercial makes it clear that you can save 30 cents a gallon with Kmart — and that they have a sense of humor. Nike says that with a little persistence, you can just do it, too. And Cheerios can help your heart — and get people talking about what might constitute today’s normal families. Messages have an important place in video. You have to choose them deliberately and be ready to defend them. What’s the first thing your viewers should know? Ideally, it’s something that gives them a benefit. Let’s face it, everyone asks, “What’s in it for me?” We consider this benefits-focused messaging instead of features-focused messaging. How can people get to know your personality? All brands have a personality. Look at insurance. The GEICO personality helped make insurance funny. 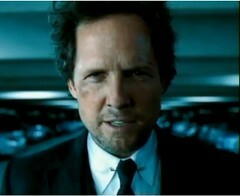 Now you have brands like Allstate who can do funny (“Mayhem Is Everywhere”) and serious (“In Good Hands”). What makes you stand out? While it’s tough to come up with truly original ideas, try to avoid being a copycat. You want to differentiate your brand instead of just compare it against others in a similar category. Can you get mileage out of your idea? Hopefully your video isn’t going to be a one-time thing. Getting a great campaign going includes spinning existing ideas into new ideas. Series of related videos help to drive home your primary messages, reinforce your personality, and continue to help your brand stand out. You don’t have to always have the answers for these questions, but take some time to ask them when you’re starting a video project. Your campaigns will be more effective when you start this planning early in the process. And if you just want a dog-operated Rube Goldberg machine, that’s OK, too.